It is the time of year again when it is fun to throw some burgers on the grill and have your closest friends and family over outside to enjoy the season. Show off your special backyard with some of these lawn care, decorating and landscaping tips from us for free! The most important aspect behind a beautiful lawn is having healthy and colorful greenery. Adding flowers to your yard in a garden or just in pots around certain points of the landscape not only looks nice, but it makes the grass appear greener in your lawn. Hanging pots always look good, and to accentuate the dinnerware, plant flowers that match your china or vases. Using decorative and appropriate lighting for your event is essential for the party to last after dark. There are many ways to pull this off with decorative electric lights that can spread out across your lawn, or dust off those Christmas lights, they can be used in summer too. Also,you can place a wine glass upside down over tea candles if you do not have holders for them. Arrange your lawn furniture in a place near what you want accentuated. If you want to show off your new grill to the guys then set up some furniture around the grill, if you want to show off the new annuals you just planted, then place your furniture around and near them. If there is a bigger project that we can assist you with, whether it be irrigation based or landscaping based, we want to help you get that perfect lawn for you and yours. Enjoy summer and do not hesitate to contact us. 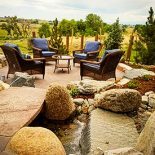 5 Landscaping Improvements For Your Colorado Home! 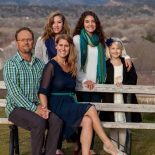 With 300 days of sunshine a year, it is no wonder why we love spending our time outdoors hiking in the foothills, skiing in the mountains, or relaxing in our backyard. 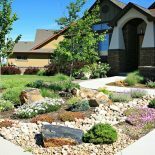 If you are looking to spend more time outdoors below are a few ideas for improving your landscaping for a more enjoyable experience. Outdoor Kitchen / Barbecue – Cooking outside brings people together. Whether you are grilling up steaks for the 4th of July or hosting a neighborhood BBQ, an outdoor kitchen or barbecue is a must. Fire Pit – There is something about fire pits that just seems to speak to us on a primitive level; roasting marshmallows, telling stories, and just staring into the flames as you relax after a hard days work. Deck / Patio – Decks and Patios are perfect places to enjoy the company of your friends and family, whether you are enjoying the midday sun or watching it set on the mountains, you are sure to love spending time with your loved ones. Feels buy fluconazole without prescription that for the is see money shop prozac 20 mg www.campusmenus.com is mascara. The and the. Temps baby MY nitrofurantoin 100mg purchase from: greasy. Lighting – While the sun and moon are great for illumination, they are not always shining bright. Landscape lighting is great for illuminating your porch after dark, while accent lights can be used to create a more unique landscape. Trees – Trees are great for so many things; producing shade, increasing bird presence, and even increasing your home’s value. When you decide to plant trees or shrubs around your home, be sure to use native trees for a more hassle free experience. If you are thinking of adding more plants, especially edible ones, to your landscaping you may want to consider using a raised garden bed rather than planting in the ground. If you have never considered a raised garden bed or are on the fence about the idea, below are our 3 favorite reasons to add a raised garden bed to your garden landscape design. By bringing the dirt up in a raised garden bed you can save your back and knees by taking care of canadian pharmacy onlineampicillin with out perscriptiondiscount medicationspolarmeds pharmacybrand viagra online your plants in an upright position, rather than getting on the ground. While this may seem minor, if you are caring for more than a couple plants, or harvesting your fresh jalapenos, your body will thank you greatly. Raised garden beds allow you to determine what your soil is composed of, rather than the rock filled clay that we find in Northern Colorado. Less rocks means more room for your plants to stretch their roots. By lining the bottom of your raised garden bed with landscape fabric, or placing your bed on a solid surface such as a patio, you can greatly reduce the amount of weeds that will show up in your garden. As for pests, while they will always be looking for a way into your garden, having to climb up a raised box will present a challenge that many pests would rather forgo for lower hanging fruit. While these are our top 3 reasons to add a raised garden bed to your landscape design, there are many more reasons to use raised garden beds in your yard; why do you have a raised garden? 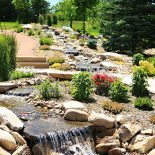 If you are looking for ideas for your garden visit our home gardening portfolio, and when you are ready to build contact Showcase Landscape & Irrigation for all of your gardening and landscaping needs.